The lovely Barrington Court 112 in Palmetto Dunes is this month’s featured property. This open concept villa offers gorgeous ocean views to its’ guests both from inside and out. Steps from your door a beach path will take you to the beautiful beach front of Hilton Head Island. 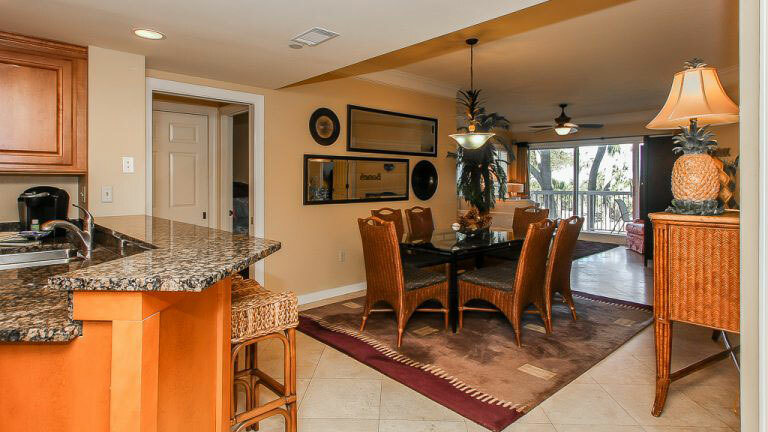 This beautiful two bedroom condo is located in the highly coveted Palmetto Dunes Resort. It can sleep up to seven people comfortably and is located on the first floor that is elevated and accessible via elevator. Amenities include granite countertops, updated appliances, formal dining room, wireless internet, and washer/dryer. Barrington Court is beautifully landscaped with manicured grounds, palmetto trees, and beautiful live oak trees. Guests are treated to an oceanfront pool and hot tub. The pool is heated seasonally – typically October through December and March through May. The complex pool is also cooled during the summer months, dates vary as it based on the weather. There is a large sundeck and two community charcoal grills for entertaining or just cooking dinner outside. 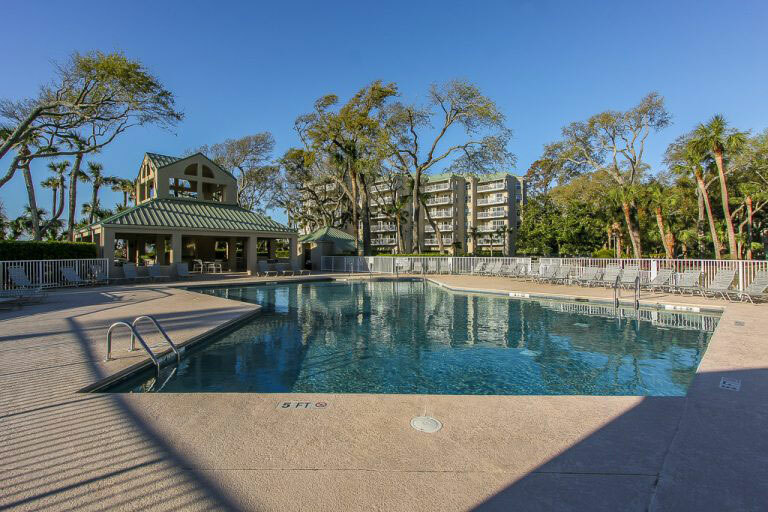 Palmetto Dunes is one of the most desired communities on Hilton Head Island. It is located mid-island and rated one of the Top 25 World’s Best Family Resorts by Travel + Leisure Magazine. It is home to Shelter Cove, the island’s premier waterside destination and home to a fabulous collection of shops and restaurants. Offering more than 3 miles of beachfront, three world-class golf courses, an award-winning tennis center, full-service marina and a breathtaking 11-mile lagoon, Palmetto Dunes is an eco-friendly resort featuring an unending list of activities and amenities.